She lived up to her christening, as she remained in the ice until 2016. Whereas other vessels used in Amundsen's polar explorations, Gjøa and Fram, have been preserved at the Norwegian Maritime Museum, Maud had a more rugged fate. 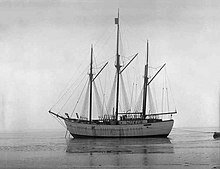 After sailing through the Northeast Passage, which did not go as planned and took six years between 1918 and 1924, she ended up in Nome, Alaska and in August 1925 was sold on behalf of Amundsen's creditors in Seattle, Washington. The buyer was the Hudson's Bay Company, which renamed her Baymaud. She was to be used as a supply vessel for Company outposts in Canada's western Arctic. Prior to her final voyage Baymaud was given a refit in Vancouver, British Columbia. (The work was supervised by Tom Hallidie, who later went on to design the RCMP vessel St. Roch, based on Maud.) In the winter of 1926 she was frozen into the ice at Cambridge Bay, where she sank in 1930. The wreck lay just offshore, across the inlet from the community's former Hudson's Bay Company store. Nearby is the site of the former Cambridge Bay LORAN Tower, built in 1947. In 1990 the ship was sold by the Hudson's Bay Company to Asker with the expectation that she would be returned to the town. Although a Cultural Properties Export permit was issued, the price tag to repair and move the ship was 230 million kroner ($43,200,000) and the permit expired. In 2011 an Asker-based company, Tandberg Eiendom AS, in the project Maud Returns Home announced a plan to return Maud to Norway. They intend to build a museum in Vollen to house her, near where she was built and had purchased a barge to move her. Concern about the plan came from the community of Cambridge Bay, Parks Canada, the Government of Nunavut, the International Polar Heritage Committee, and some people in her intended destination. Initial refusal of a new export permit from the federal government, on the grounds of a lack of a full archeological study was later reversed on appeal in March 2012. The salvage operation was under way in the summer of 2015, with a plan to return the hull to Norway in the summer of 2016. On 31 July 2016 it was reported that the hull of Maud had been raised to the surface and placed on a barge in preparation for shipment to Norway. In August 2017 Maud began the journey back to Norway; she was towed through the Northwest Passage. In September 2017 she arrived in Greenland to stay for the winter. Maud arrived in Bergen on 6 August 2018, finally returning to Norway nearly a century after her departure with Amundsen. She was then towed along the Norwegian coast, and arrived at Vollen on 18 August. The wreck of Maud near Cambridge Bay, (Victoria Island) in Canada's north, in 1998. Maud on the surface in 2016. Maud being tugged through the Bellot Strait towards Greenland in early September 2017. Tandberg Polar tugging Maud through the Bellot Strait towards Greenland in early September 2017. ^ Nunavut News/North Monday August 20, 2007 "Saving the Maud"
^ "Maud Returns to Norway". The Maritime Executive. 6 August 2018. Retrieved 7 August 2018. Asker is a municipality in Akershus county, Norway. It is part of the Greater Oslo Region. The administrative centre of the municipality is the town of Asker. The municipality was established as a municipality on 1 January 1838. Queen Maud Gulf lies between the northern coast of the mainland and the southeastern corner of Victoria Island in Nunavut, Canada. At its western end lies Cambridge Bay, leading to Dease Strait; to the east lies Simpson Strait; and to the north, Victoria Strait. Vollen is a part of the Asker municipality in Akershus county, Norway. For statistical purposes, it is usually treated as part of the Oslo urban area. It is mainly a residential area, though the area has a café, a restaurant, several art galleries, a primary school and secondary school. MS Fram is a passenger vessel operated by the Norway-based Hurtigruten Group. 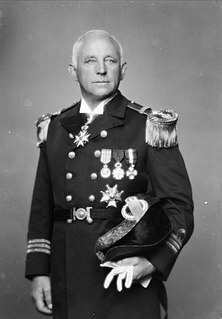 The ship is named after the original Fram, the ship used by explorers Fridtjof Nansen and Roald Amundsen. The ship operates in the Arctic Ocean and around Greenland in the summer, and cruises around Antarctica at other times of the year. In December 2007, the ship lost power and struck a glacier in Antarctica, sustaining damage to the starboard side; the collision did not affect the ship's seaworthiness. Gennady Nikitich Olonkin was a Russian-Norwegian polar explorer, telegraphist and radio operator. The bark Danmark is best known for her role as expedition ship for the Danmark expedition (1906–08), so named after the ship, but had a long prehistory as a whaler under the name Sir Colin Campell of Peterhead and later as a sealer named Magdalena of Tønsberg/Kristiana.